My first box set! Isn’t it cool? Since the first two of my Highland books are with a publisher, I couldn’t do this with my Highland series. And this is the next book series (a teen urban fantasy) that I have that’s growing because of the interest in it. So since I had the sixth book ready for release, I figured I’d release the first five in a box set. The Dark Fae: Alicia has planned a vacation at South Padre Island with her girlfriend Cassie in forever. But just as they’re enjoying a day on the beach, here comes a dark fae to spoil their holiday, except only she can see what he truly is. Alicia has no idea how upside down her world can turn with a chance meeting with one of the dark fae from the royal house of the Denkar. The Deadly Fae: Lady Sessily is a dark fae, an assassin, and she intends to retire and take up some other occupation so she can have a normal life. Get a boyfriend. Visit the human world to hassle humans like many of her kind do. Attend fae kingdom parties, not as the mystery woman who is scoping out her next intended victim, but just to have fun. Until tall, dark, handsome, and deadly interrupts her plans. The Winged Fae: Serena, a royal member of the Mabara winged fae, has one goal in mind. Stop an impending marriage with a dark fae. As the fae are known to do, she stirs up trouble that she hopes will make her point and get her off the hook. Only nothing goes as she plans. The Ancient Fae: Princess Ritasia misses the adventure of getting her brother and cousins out of trouble, but when the hawk fae king arrives to court her, she becomes involved in trouble nothing like she’s ever faced before. Dragon Fae: Seeking to save Cassie from the dark fae, Princess Alicia runs into trouble in the form of dangerous fae seers. A dragon fae, who is different from all the rest, is sent to locate and rescue her. Simple mission. All Ena has to do is find the princess and return her home. Except nothing is simple in the world of the fae. Not when two fae kingdoms are involved. And humans. And fae seers. And all the trouble that can cause. This is book 6 in the popular urban fantasy series where the fae world and ours is separate. But you know how you run into a wall when you know you have plenty of room to clear it, or you can’t find something you just know you could have put in one of three different places, and it’s not in any one of them, or your skin prickles with unease for no apparent reason–well, blame it on the fae. They pop in to play games with us humans. So next time you spill something, it really wasn’t your fault. Just take it as a good natured–or not–fae having a bit of fun at your expense. And the day WILL get better. If the fae move along. Just be glad that you’re not a fae seer–someone who can see them when they’re not visible to the rest of us. If you can see the fae, that’s a whole other story! And so the series continues! 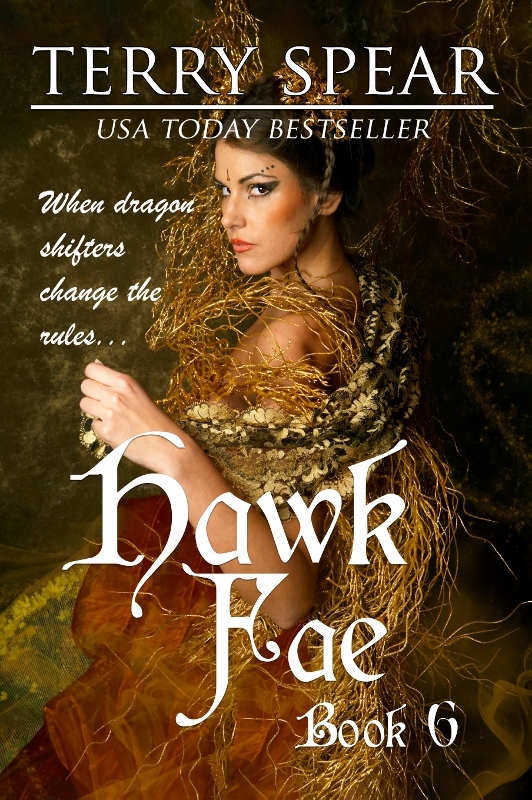 Sometimes doing a good deed can prove to be a disaster, Ena, dragon shifter fae, discovers as she must flee her home. But her staff chooses to go with her and deal with the dangers to reach the safety of the hawk fae kingdom, if the king there welcomes them. The human, Brett, promises to help her escape the marriage to the despicable dragon fae prince, rather than return home to his Earth world. 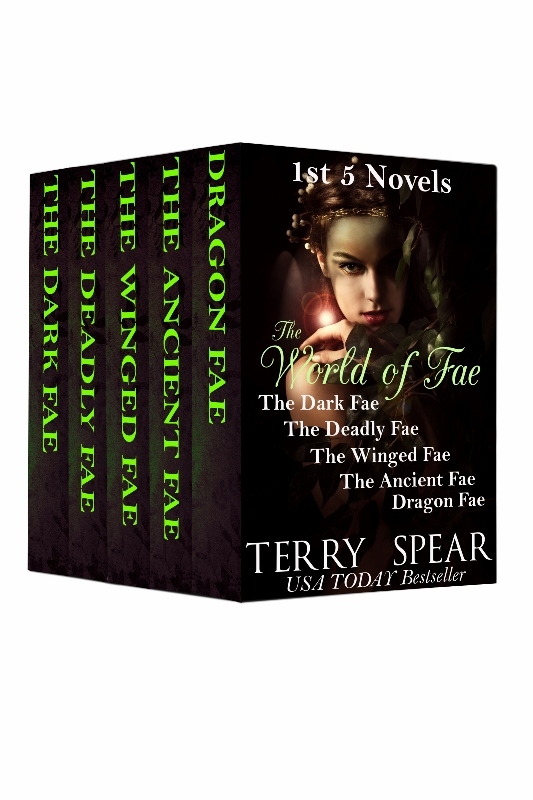 And now all the dragon shifter fae are at risk of having to face the dragon fae king’s wrath. Esmeralda, the hawk fae king’s sister has been imprisoned by the griffin on their island for half of her life and she finally makes her escape, only she gets herself into even more trouble. Against her wishes, Ena must forsake Brett on the journey, and he finds his world is turned upside down once again and now he has to survive the life or death trials of the phantom fae kingdom. Demon Trouble, Too’s audiobook also just released. The narrator who was working the first one was having technical difficulty. *sigh* So two is out before one. Alana Fainot is a demon gate guardian, stuck in her last boring year of school. But not for long. Hunter and the rest of the gang show up when her astral form can’t return to her physical form, and she’s at the police station trying to talk her way out of having seen the murderer of a summoner. Hunter always knew Alana was trouble, but his kind of trouble, and he’s not leaving Alana alone again. Celeste Sweetwater, a new kind of demon, joins Hunter and Alana and the rest of the demon guardians in a fight to find a new kind of portal device that can summon several demons at once. But not only that, another Matusa has been unleashed on the unsuspecting human world and the demon guardians must stop him before he wreaks much more havoc. But this time, the police are involved, paranormal investigators pounce on the area, and the whole mess seems to be spiraling out of the demon guardians’ control. Okay, so I’ve had enough goofing off. Totally missed my word count on Jaguar Pride yesterday with finishing these up. Sooo, no more skipping my word count goals! Have a super Middle of the Week Day! Relative Danger and the Audio Book for The Deadly Fae (book 2) Are Now Out! Relative Danger is now out! The audio books for Lady Caroline and the Egotistical Earl and Taming the Wild Highlander should be out soon. They’re in the review process now, but otherwise complete! Murder, mayhem, and family secrets abound when some beneficiaries of an insurance magnate’s last will and testament plot to get their money early. During a week of togetherness orchestrated by her not-quite-departed uncle’s will, headstrong heiress McKenna Sutherland has to team up with resort manager Thomas Hampton, the man who stole her heart five years ago, or she’ll lose her inheritance—to him! McKenna and Thomas need to uncover the villain among a cast of colorful characters who have joined them for the week, each of whom has a stake in the ultimate outcome—Uncle Sheldon’s money, and loads of it. Thomas’s job is to keep Sheldon’s faked death a secret, while he makes sure McKenna isn’t next on the killer’s hit list. With everything around them a lie, can Thomas regain McKenna’s love and trust before it’s too late? And just received notification that The Deadly Fae is now available in audio book! Lady Sessily is a dark fae, an assassin, and she intends to retire and take up some other occupation so she can lead a normal life. Get a boyfriend. Visit the human world to hassle humans like many of her kind do. Attend fae kingdom parties, not as the mystery woman who is scoping out her next intended victim, but just to have fun. Until tall, dark, handsome, and deadly interrupts her plans. She is on a mission to assassinate a fae lord who is the most evil kind of fae. But when she is thwarted, not once but twice by another fae lord, she is ready to strangle him. And she’ll do it for free. The crown prince of the cobra fae doesn’t know what to think when he hires a master assassin who turns out to be a woman – not her father like he’d been led to believe. But can she eliminate one of the most powerful queens of any of the fae kingdoms without getting herself killed? He soon rethinks his plan as he gets to know the woman he begins to think of as his angel assassin.